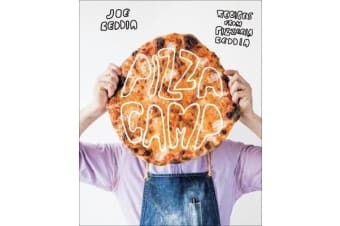 Joe Beddia’s pizza is old school-it’s all about the dough, the sauce, and the cheese. And after perfecting his pie-making craft at Pizzeria Beddia in Philadelphia, he’s offering his methods and recipes in a cookbook that’s anything but old school. Beginning with D’OH, SAUCE, CHEESE, and BAKING basics, Beddia takes you through the pizza-making process, teaching the foundation for making perfectly crisp, satisfyingly chewy, dangerously addictive pies at home.